This is a companion Seminar to Subject II of the Congress (The tax treatment of transfer of residence by individuals). 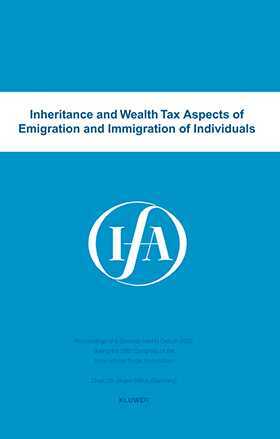 While Subject II addresses emigration and immigration taxes in income tax law, the Seminar will focus on death taxes. We will start with an outline of emigration taxes imposed by the domestic death tax laws of majors countries, whether and how they try to avoid double taxation, and how tax conventions are used or might be used to eliminate cases of double taxation. This will be followed by brief discussions of the overlap of gift and death taxes in cases of a change of residence, conflicts of taxation which arise if one country imposes a capital gains tax in the event of death while the other state uses a death tax, as well as potential conflicts between death taxes and wealth taxes.